Whether you’re new to dating and are concerned about the national divorce rate affecting your chances of finding love, or recently divorced looking to fall back in love, you’ll be interested to know that online dating success is, statistically, more likely to occur than traditional, offline dating success. Through well documented studies, researchers have proven that couples that meet online are more likely to stay married. Here are five compelling online dating success statistics that cannot and should not be ignored. With almost half of today’s couples meeting online, most through online dating websites, this is a statistic that cannot be ignored; especially if you want to maximize your probability of finding your perfect match. Furthermore, Match, says that the perceived notion of people meeting at bars is a myth. According to Match.com, 9% of women and 2% of men say that they have found a relationship at a bar or club. * With the rise of technology, people are not meeting in traditional ways as much as they used to. Another problem is that now, more than ever, America has a large percentage of singles that have no interest in getting married. Current numbers show that only 51% of adults are married, compared to 72% during the 1960s, and of those unmarried, only 53% said that they definitely wanted to get married. With so many people looking to stay single, using online dating websites makes it easier to engage with those you know for certain are looking to have a serious relationship. With the majority of singles polled agreeing that online dating expands their dating pool, it speaks to the efficacy of online dating success. 94% of a demographic does not stick with a product if it does not work - especially a product that most pay for. One way in which online dating helps the courting efforts is in regards to the ease of getting out of a bad relationship and the average length of courtship. 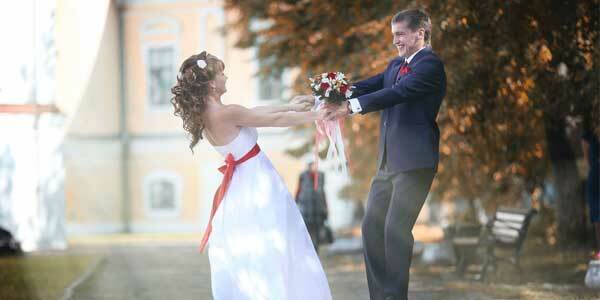 It doesn’t happen often, but some couples end up getting married because it is the next conventional step. When they should be breaking up, one of the parties in the relationship may not be been brave enough to end an unhealthy relationship; however, online dating has found a solution for this. Painful face-to-face breakups have been replaced with email. According to Match, as much as 48% of online daters have reported that their breakups occurred over email. With so many marriages ending in divorce, every little bit helps—even if it is just 1.7%. The Proceedings of the National Academy of Sciences (PNAS), an organization that carried out one of the most extensive studies to date, comparing data on traditional and online dating marriages, found that the percentage of martial break-ups was lower for those that met their spouse online, 5.96%, compared to off-line, 7.67%. This same PNAS study showed that couples who met online are also happier than their offline-meeting counterparts. This study showed that the individuals were not only happier, but they shared a higher marital satisfaction over couples that met in traditional ways. Many contribute this marital satisfaction to a person’s ability to better self-disclose things that are easier to disclose over the internet, opposed to face-to-face. Online couples are honest and open from the start. Because of the technology that goes into online dating websites, the average courtship for those who meet online and end in marriage is 18.5 months, compared to offline marriages that took 42 months. Innovations, such as Zoosk’s Behavioral Matchmaking™ system, make it easier for online dating websites to provide its members with systematic results, results that match our specific desires and guarantee an online dating success rate. Because of this technology, it doesn’t take as much time for the relationship to evolve. Another reason as to why online daters spend less time courting is because of the demographics of the dating pool. When looking at statistics, from age to race, and income to education, there are patterns that arise that improve the chances of successful relationships. There is a significant difference in the age groups that participate in online dating; the older, more serious age groups have a larger hold on the online dating pool. Another overwhelming statistic is income. Those that participate in online dating and successfully stay married, fall in a much higher income bracket. Additionally, those with college educations and full time employment are more likely to meet online and get married than through traditional marriages. Statistics don’t lie. There is a reason that online dating websites are the largest growing community in America. Looking for that special someone? OurTime is an exciting new place for serious daters looking to meet like-minded individuals for romance and friendship.